The National Association of Certified Quilt Judges was created in October of 2015 and represents a group of quilt judges who were certified by the former National Quilting Association. They hail from California to Rhode Island, from Texas to Minnesota, and all places in between. When the NQA ceased to exist, succumbing to the economic realities of the 21st century quilt world, the certified judges felt strongly that they did not want to allow professional quilt judging to disappear with it. Certified judges believe in fairness, objectivity, a positive approach, and a broad and very deep knowledge of quilting techniques, color, design, and history. These qualities allow all quiltmakers to receive a consistent, meaningful critique as well as recognition of skill and achievement for the ribbon winners. Likewise, currently certified judges wish to continue to offer the opportunity for certification to anyone who satisfies the same requirements they themselves met. On this site, you will find a contact list of all Certified Judges, both alphabetical by last name, and by state. You will also find a list of Candidates currently enrolled in the Judges Certification Program. In addition, you will find information regarding the application process for Candidacy, the requirements for acceptance into Candidacy and a description of the Candidacy process. We feel that the quality of quilt judging should match the dedication, time, and skill devoted to the creation of the quilts we evaluate. 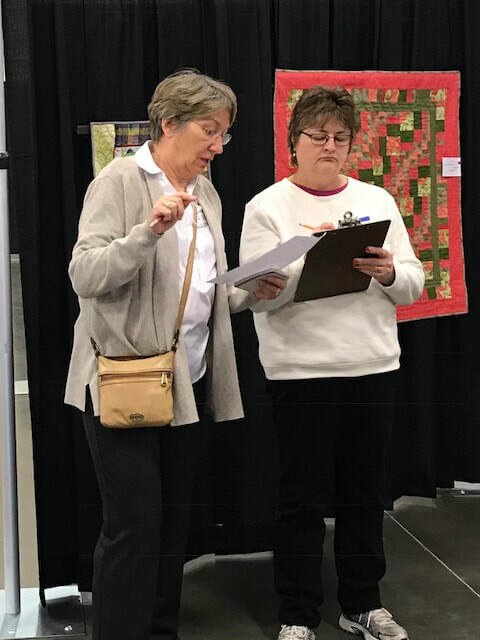 We are available to serve in all types of judging situations and look forward to sharing our enthusiasm and joy in quilts with you! NACQJ is incorporated as a 501(c)3 non-profit entity.